"Krista is one of the most hard working agents I have met. If not for her I would not be in my new home today. She is a very dedicated hard working individual who genuinely cares about her clients." "She was very helpful in every aspect of buying a home. Always available for questions and very knowledgeable. Very flexible and understanding of our hectic schedules. Would recommend Krista to anyone looking to buy, sell, rent or lease a property." "Krista was great to work with on our search for a new house. She was always available to answer questions. She is a professional in the highest regard, who truly cares and delivers beyond expectation. A+ Krista. Thank you for all the hard work you put in to find our family a home." "Krista was great - she was very attentive and present during our whole buying process. She brought ideal homes to our attention weekly and they were always within budget. She has even been active after the closing, which has been really helpful. We will certainly be using krista to sell our previous residence once we are ready. Thank you very much Krista!!!!" "Krista did a great job in my recent home purchase. I was referred to her through a friend. Krista is very professional and responds quickly. She was there every step of the way and didn't mind my questions. I didn't realize how great she was until I was helping a friend in another state look for a house--what a difference a great realtor makes! I am so happy with my new home!" "Krista Kollar is extremely helpful and patient! I had a very difficult time getting in contact of the landlord of the condo I now rent, and Krista was VERY persistant on getting ahold of his realtor because she knew how badly I wanted to live here. I always recommend her to people I know that are looking to move. In a few years when I am looking for my first house, Krista will DEFINITELY be the realtor that I call. So thankful for her!!! :)"
"Krista was amazing! I had definite expectations and needs for what my new home "had to have". Krista handled millions of phone calls and emails from me with patience and ease. She guided us through homes and did a lot of work to find homes that would meet our needs. She was very honest and thorough with what to expect from home inspections and meeting the requirements for our VA loan. I can't describe how much easier this was than the first time we bought a home with a different realtor. I can and have recommended Krista to friends and family that are considering buying a new home. She is excellent!" "We worked through Krista in 2013 to both sell our home and purchase our new home. We found her knowledge of the market to be spot on. She was attentive and always keeping us up to date with what was going on. If we emailed or left her a message, her response back was excellent....always same day and usually within an hour. Even when we sent emails on the weekend or late in the evenings she always responded promptly. She was very patient as my wife and I went through well over 25 homes to find "the perfect one". She was with us every step of the way and made the sale/purchase and very pleasant experience. 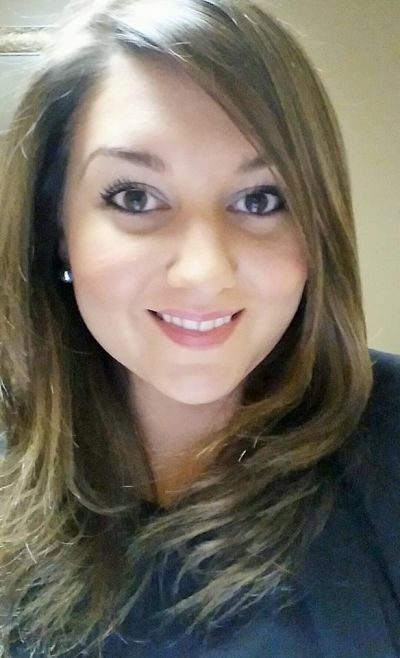 We highly recommend Krista to anyone looking to sell or purchase a home!" "Krista is a true professional! She was our listing agent tasked with selling 2 investment properties in Roseville and Eastpointe, MI. She was instrumental in obtaining the best possible offer and a quick sale. Throughout the process she was very proactive and responsive to our needs. I wish we would have found Krista earlier as she is the best agent we have worked with. We plan to promote her to anyone we know who's in the market to buy or sell realestate." "Krista is an amazing Realtor. She helped prepare my home prior to listing and there was a never ending line of potential buyers looking at the home from the moment the listed went up. She uses all resources and tools at her disposal and takes full advantage of online marketing to maximize the amount of potential buyers, while ensuring that the home sells quickly and for full asking price. If you have a need for an experienced, professional Realtor who gets results, quickly, give Krista a call. You will not be disappointed." "I worked with a few realtors before Krista and I was blown away by her level of expertise and service. She is an invaluable asset in the home buying process and makes herself available always. Krista is a full service realtor, answering all my questions throughout the entire process. HIGHLY recommend to anyone." "Krista helped us list our home and sell it for full asking price in less than a week! She helped us come up with a fair asking price for both us and the potential buyers. She came prepared with local comps, then took numerous pictures to put on the different real estate websites. She was a dream to work with, and helped make the process as stress free as possible. When we decided it was time to list our home, she had the information public in a matter of a couple hours. We highly recommend her and would gladly work with her as our real estate agent again." "Being a first time home buyer I wasn't exactly sure what I wanted. Krista took the time to go over all my must haves and wants and found me my house. She stood by me all through the process of closing and purchasing. If I had a question she was able to answer or obtain a answer quickly." "Krista Jelsky is that rare real estate professional who handles details in a timely fashion, listens to what you are asking for and delivers gracefully. Krista has helped us buy a condo and also sold a home that was "quirky" -- and made both experiences easy for us. Our outcomes were perfect. She helped us with the stress of searching and selling with her calm, expressive demeanor and made us feel supported and educated along the way. I would not ever go to anyone else. Ever! I've recommended her to others and feel confident in doing that because she's really good at her work. Krista is down to earth and easy to talk to, but she's also intuitive enough to understand mixed signals from the clients (yes we weren't exactly sure what we were DOING at first!) and she's got a warm heart besides. This woman showed up for one closing while she was "down in the flu season." She saw it through and her behavior showed us every step of the way that she was working for our benefit, not her own. Love this person! Highly recommend you call her." "Krista was amazing to work with! She was always there when we needed her no matter what time or how crazy we were being shes super nice and quick which made looking for houses much more enjoyable. I would highly recommend Krista to all of my friends and family!" "Krista is the BEST out there!! I can't thank her enough for helping in every way possible! Highly recommend wouldn't go with anyone else great experience!! :)"
"By far the best real estate agent I have ever dealt with. She helped me buy a new home, and was able to sell my old home with an asking price offer both within 1 weeks time! Answers every phone call, and responds to text messages, and e-mails very promptly. Uses every piece of advertising available to get your house sold, including every social media outlet. Extremely knowledgeable, very professional, and the absolute best communication. I highly recommend Krista for any and all real estate needs."